Doug joined Business Acquisitions, Ltd. as a Merger and Acquisition Specialist in 2016, bringing with him over 30 years of experience helping business owners prepare to exit their businesses at optimum value and improve bottom line results. He has worked with many privately held companies, helping business owners achieve their personal goals for their businesses. Equally comfortable in the boardroom and on the factory floor, Doug has led teams at all organizational levels and across many industries. His experience also includes major P&L responsibilities at Gates Rubber Company, a multinational automotive and industrial parts manufacturer with sales in excess of $2.0 billion. 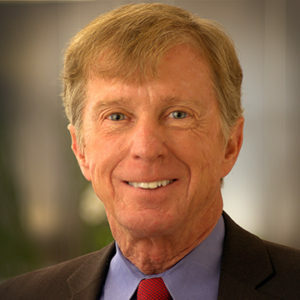 Doug also held numerous management positions responsible for mergers and acquisitions, business development, strategic planning, product management, quality processes, and leadership development. Prior to joining Business Acquisitions, Ltd., Doug founded Big Gear Business Advisors Inc., a management consulting business, which since 1999 has provided management expertise to hundreds of privately owned companies with sales revenue up to $30 million. As an advisor, Doug collaborated with his clients to install business infrastructure, leadership methods, management teams, and management processes to achieve self-sustaining businesses that function smoothly, consistently, and profitably, so owners could optimize the value of their company and secure a higher selling price whenever they might choose to exit their business. His expertise in building self-sustaining enterprises and maximizing business value serves him well at Business Acquisitions, Ltd. Doug has advised hundreds of business owners and executives, and takes great joy in their successes. Doug has an undergraduate degree form the University of Texas and a Master’s degree from Harvard University. He is licensed with the Colorado Real Estate commission and is a member of the Colorado Association of Business Intermediaries (CABI). Doug also serves on the Board of Directors at Wish For Wheels, a non-profit organization with the mission to transform the lives of kids from low-income families, broadening their scope for personal growth and a healthy lifestyle through the gift of a new bicycle. Doug’s vision is: Live Well, Ride Bikes, and Help Others. He enjoys spending time cycling with friends, and most of all, spending family time with his wife Judy and their kids and grandkids.